With Thanksgiving only three days away, I have made my menu and now have the pleasure of going through the myriad of recipes handed down all the way from my great-grandmothers. The following Pumpkin Roulade is likely found all over the internet these days, but the recipe I offer came from my grandmother. It is one I make every other year (switching between pumpkin pie). It has a wonderful whipped cream cheese and walnut filling and the cake is sweet and full of the spices we equate with the season. Darned easy to make, as well. Line a sheet tray (mine is 13x18x1) with a light coating of cooking spray, then cover the entire bottom with parchment paper. Mix the pumpkin puree with the beaten eggs very well in a small bowl. Add the pumpkin/egg mixture to the dry ingredients and blend well to incorporate all the dry ingredients. Pour this cake batter into your prepared sheet pan and spread the surface evenly (I use an offset spatula). Bake until a toothpick placed in the center comes out clean (approximately 15 minutes). Just before the cake comes out of the oven, place a large, smooth cotton (flour sack, preferably) towel on your workspace/counter and sprinkle powdered sugar evenly on top of the towel. After removing the cake from the oven, allow it to cool for 5 minutes, then invert onto the powdered sugar-coated towel and remove the parchment paper from the bottom. Be sure to leave a 2-inch or so selvage of towel space to help with rolling. Slowly begin to roll the cake in the towel and allow it to cool completely. This will probably take about 45 minutes to an hour. Once completely cool, the cake will retain its rolled shape and make your life much easier with the filling. Meanwhile, beat the cream cheese, butter, ¼ cup sugar and vanilla with your mixer until light and fluffy. Fold in the finely chopped walnuts using a spatula. Chill this mixture until your cake has cooled. Unroll the cake and spread with the cream cheese filling, then roll the cake right back up. Scrape away the extra filling that has oozed out the sides. Roll the cake fairly tightly in plastic wrap, then chill overnight in the refrigerator. I prefer it nice and cold for serving. It’s also easier to cut when chilled. I cannot take credit for this epiphany. That goes straight to America’s Test Kitchen geniuses and Cook’s Illustrated magazine (March-April 2016), who have discovered the perfect, foolproof way to cook hardboiled eggs. I have been a subscriber to their magazine for many years (also Cook’s Country), but this issue had me spinning like a top and squealing for joy. While this method is not yet found on their website, this information is too fantastic to not pass along!! And I have used this method many times now with nary a failure or disappointment. I will never, ever make hardboiled eggs any other way for the rest of my life! Never again encounter a hardboiled egg that is difficult to peel, regardless of the egg’s age. How? By steaming the eggs, instead of boiling them! Take six to nine eggs. Place them in a steamer basket above briskly boiling water and cover. Set your timer for 15 minutes. Before the timer goes off, prepare a boil with a lot of ice with water. When the timer rings, place the eggs into the ice water and allow to chill fully. Peel and carry on with your plans. For the record, I crack mine well against the side of my clean kitchen sink and peel under slowly running water. I also keep the shells, allow them to dry, and pulverize them into powder before sprinkling under tomato and pepper plants that love calcium, but that’s another story. That’s all. Period. Perfect every time. For Easter Eggs, make no changes in your plans and dye away. For deviled eggs, you will find the yolks do not have the usual greenish tint around the outside that boiling creates, and will yield the lovliest golden fillings. According to Cook’s Illustrated, the science behind this success is finally finding a means to tame the egg’s membrane. That is the real culprit when hardboiled eggs are difficult to peel, not the shell itself. “when an egg is very fresh or when it’s cooked slowly, the proteins in the white bond to the membrane, instead of to one another, and the membrane becomes cemented to the while and impossible to peel away.” Placing eggs onto the steamer with a full head of steam in the pot causes the egg white proteins to “denature and shrink”, preventing the bonding with the membrane. Please forgive me for my absence lately. Work has called me away for quite a while. Having said that, I have a new recipe that I found and wish to pass along. 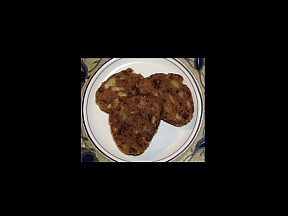 While searching for an apple cake to delight my senses, I ran across a site, http://www.southernplate.com, with precisely the cake I was looking for and remembered from my childhood. An old favorite, I offer the Apple Dapple Cake from an authentic recipe with an exceptional twist at the end, along with my own tweaking. If you love a moist, tender, apple-filled delight for your friends and family, this recipe is for you. It will be among the fare I will prepare for Super Bowl Sunday between the Broncos and the Panthers this coming weekend! In a bowl, sift the flour, salt, spices, and baking soda together. I follow up this step with a little whisking to distribute well. In the bowl of your stand mixer, mix the oil, sugar, eggs and vanilla, beating until smooth and the sugar almost dissolved. Add the flour mixture to the wet ingredients in thirds, blending slowly between additions and ensuring complete incorporation before adding the next. Fold in the chopped apple and nuts, distributing well. Be gentle here…. Bake in a tube pan that has been oiled and floured (or completely coated with PAM baking spray that includes flour, or an equivalent product) for 1 hour. Remove the cake and set aside. Now begin the sauce to pour onto the cake, which is the truly outstanding part of this recipe! In a medium saucepan, melt the butter, whisk in the milk and add the brown sugar. Bring slowly to a gentle boil, stirring often. Allow to boil for 3 minutes, stirring constantly. Pour this syrup over the hot cake while still in the pan and allow the cake to cool completely. The syrup will soak into the cake. The final cake will present a tender crust and slice well using a serrated bread knife. I recommend slicing thick slices (1 inch or more), and to prepare yourselves for an outstanding moist texture full of apple bits and nuts. And the brown sugar caramel sauce is an absolutely perfect compliment. ***I took this cake to my office, to the delight of everyone except one highly allergic to nuts. Should you make this cake for someone with the same allergy, simply omit the nuts! There are many recipes and many methods for creating this top choice of candies and I offer several different types here from my own collection of tried-and-true favorites. This is a true cream-and-butter fudge, with more chocolate in it than is usual. The nuts can be omitted, if you wish. I store this in the refrigerator, but please let it come to room temperature before serving, as the fudge will have much better flavor if you do so. It also freezes nicely. Do not consider attempting this fudge unless your relative humidity is at 50% or lower. In a heavy 4-quart pot, butter the sides in a 2-inch path 3 inches from the bottom. (This will retard sugar crystals from forming during cooking. Pour processed sugar into the pot and add cream, corn syrup, and salt. Place over low heat and stir constantly with a wooden spoon until sugar is dissolved; mixture should not come to a boil during this process, which may take 8 to 10 minutes or more. When the sugar is completely dissolved, increase the heat to medium. Add the chopped chocolate and stir often until it is melted and incorporated. Stir occasionally until mixture comes to a boil. Attach your calibrated candy thermometer and continue to cook until it reached 236 degrees (F). Watch the boiling mixture very carefully for the first few minutes, adjusting the heat to maintain a full, but not rolling boil. I stir the boiling mixture every 2 to 3 minutes until the final temperature is reached to prevent scorching. When the fudge reaches 236 degrees (F) on the thermometer, remove from heat. Place the pot into a large bowl filled with ice and water. Add the cold butter bits and vanilla, but do not stir in. The fudge should cool undisturbed until the temperature falls to 110 degrees F.
While the fudge cools, prepare the pan and utensils. Line an 8 inch square pan (at least 1-1/2 inches deep) with a double layer of heavy-duty aluminum foil. With soft butter, very lightly butter the foil. Have the nuts and a large wooden spoon nearby. When fudge has reached 110 degrees (F), remove from ice water and place pot on a dish towel or pot holder on a flat surface. Begin to stir/fold the fudge gently with the wooden spoon. This is a stiff mixture, and it will take a couple of minutes to incorporate the melted butter, but keep at it. Stir thoroughly, but it is not necessary to beat or to stir continuously. I take frequent breaks for 30 seconds or a minute at a time. Periodically, scrape the spoon, the pot bottom, and the pot sides no more than 1/3 of the way up from the bottom with the buttered spatula. Continue stirring for approximately 15 to 20 minutes (and the drier the day, the quicker setup will occur). Toward the end of this stirring phase, you’ll notice several changes. The fudge will stiffen slightly and begin to lose its gloss. It will “snap” with every stroke of the spoon, and you may feel it give off heat. When the gloss begins to leave and the mixture begins to “snap”, quickly stir in the nuts just until evenly distributed, and turn into prepared pan, scraping out the bottom of the pot and the sides no more than 1/3 of the way up from the bottom. It is helpful to butter your hands lightly and press the fudge out to make an even layer in the pan. Cool completely to room temperature. To cut, lift out block of fudge, still in foil, from the pan. Peel back foil sides. Use a large, very sharp, heavy, straight-edged knife to cut the fudge into 36 or more pieces; it will be necessary to clean the knife frequently under hot water, then dry it off, to keep the cuts neat. I wrap each piece individually in plastic wrap so it will not dry out. Store between sheets of waxed paper in an airtight container in the refrigerator for up to two weeks, or freeze for longer storage. Always allow the fudge to come to room temperature before serving. Note: Occasionally, when I make this, after I’ve turned it into the 8 inch pan, a thin layer of butterfat will show up on the surface as the fudge cools. If this happens, just blot the butterfat up gently with a paper towel. And remember while you are stirring/folding the fudge, that the reason why you are going through this effort is to prevent the crystals from forming large masses…each stir/fold is reducing their size! Line a 9×13-inch baking dish with heavy-duty aluminum foil and butter the foil well. Set aside. In a large bowl, place your chocolate pieces and marshmallow creme and set aside. In a heavy 4-quart pan, combine the milk, butter and sugar. Place over medium heat and stir constantly with a wooden spoon until the sugar is completely dissolved. Clip on your candy thermometer and bring the mixture to a full boil until it reaches 234 degrees (F). This will take approximately 6-8 minutes. Pour the syrup over the chocolate and marshmallow creme. Using a wooden spoon, stir the mixture until all is well blended, smooth and creamy. Stir in the nuts. Pour the mixture unto your prepared pan, spreading the mixture smooth on the top. Allow to rest undisturbed for 4 hours until the fudge reaches room temperature. Lift the fudge from the pan using the foil, spread the edges of the foil carefully away from the sides of the fudge. Using a clean, sharp knife, cut the fudge into 1-inch squares, frequently cleaning your knife under hot water and drying well. Store between sheets of waxed paper in an airtight container in the refrigerator for up to two weeks, or freeze for longer storage. Always allow the fudge to come to room temperature before serving. This fudge is an absolute favorite of young people. And it may be rolled into balls and used as centers for dipping into tempered chocolate for outstanding candies! 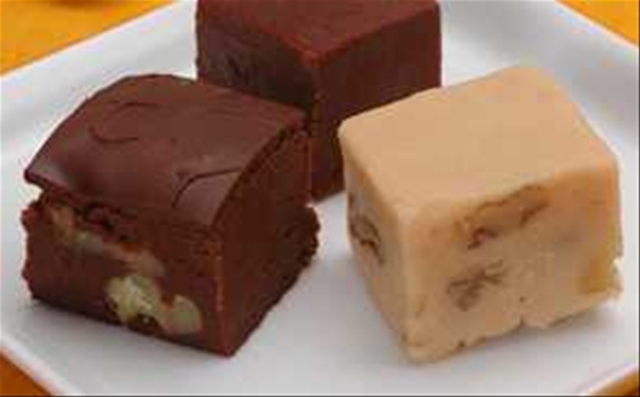 If gifting this fudge, be certain to notate that it contains peanut butter to protect those who may be allergic to same! Line a 9×13-inch dish with heavy-duty aluminum foil and butter the foil well. Set aside. In a heavy 4-quart pan, combine the milk, corn syrup, butter, baking soda and sugars. Place over medium-high heat and stir constantly with a wooden spoon until the mixture comes to a full boil. Clip on your calibrated candy thermometer and continue to cook, stirring constantly, until the syrup reaches 236 degrees (F). Remove the pan from heat and allow to cool undisturbed until the mixture reaches 110 degrees (F). Add the peanut butter, vanilla and nuts. Stir gently with a wooden spoon until the mixture becomes creamy and begins to lose its gloss. This will take about 15-20 minutes, so feel free to take a few breaks along the way. When the mixture is losing its gloss and begins to “snap” with each stroke of the wooden spoon, pour the fudge into your prepared pan and smooth the surface. Allow to cool to room temperature (about 4 hours). Then cut into 1-inch squares. Store between sheets of waxed paper in an airtight container in the refrigerator for two weeks, or freeze for longer storage. Always allow the fudge to come to room temperature before serving. Line an 8×8-inch dish with heavy-duty aluminum foil and butter the foil well. In a heavy 4-quart pan over medium heat, combine the maple syrup, corn syrup and cream and stir constantly until the mixture begins a full boil. Clip on your calibrated candy thermometer and cook the syrup until it reaches 236 degrees (F). Remove the pan from the heat and allow to cool undisturbed until the mixture reaches 110 degrees (F). Add the vanilla extract to the mixture. Begin to stir/fold the fudge gently with the wooden spoon. This is a stiff mixture, and it will take some time to finish to the proper consistency. Stir thoroughly, but it is not necessary to beat or to stir continuously. I take frequent breaks for 30 seconds or a minute at a time. Periodically, scrape the spoon, the pot bottom, and the pot sides no more than 1/3 of the way up from the bottom with the buttered spatula. This is an old fudge recipe without chocolate. Buttermilk gives this fudge a delicious, rich tang! Line a 9-inch dish with heavy-duty aluminum foil and butter the foil well. Set aside. In a heavy 4-quart pan, combine the buttermilk, butter, corn syrup, baking soda and sugar. Place over medium-high heat and stir constantly with a wooden spoon until the sugar completely dissolves and the mixture comes to a full boil. Clip on your calibrated candy thermometer and cook, stirring constantly, to 236 degrees (F). Remove from heat and allow the pan to rest undisturbed until the temperature cools to 210 degrees (F). Add vanilla and nuts and stir until the mixture is creamy (about 5 minutes). Pour into your prepared pan and allow to cool for 4 hours until it is at room temperature. Cut into 1-inch squares. Store between sheets of waxed paper in an airtight container in the refrigerator for two weeks, or freeze for longer storage. Always bring to room temperature before serving. In a heavy 4-quart pan over low heat, bring the milk slowly to a boil stirring often to prevent scorching. Add the sugar and butter and stir constantly until the sugar is dissolved and the mixture returns to a boil. Clip on your calibrated candy thermometer, raise the heat to medium and bring to a full boil. Continue to boil steadily, stirring occasionally, for 15-20 minutes, until the temperature reaches 240 °F. Remove the pan from the heat. Stir in the strong coffee and leave the fudge undisturbed until it has cooled to 110 °F. While the fudge cools, prepare the pan and utensils. Line an 9-inch square pan (at least 1-1/2 inches deep) with a layer of heavy-duty aluminum foil, extending the foil over the edges of the pan to use as “handles” for removing the fudge later. Lightly butter the foil. Transfer to the prepared 8” pan and spread evenly across the top. Allow the tablet to rest for 4 hours and come to room temperature. When completely cooled, remove the tablet from the pan by lifting the foil and pull the foil from the tablet sides. Use a sharp knife and cut the fudge into 1-inch squares, frequently cleaning the knife in hot water and drying completely. Store between sheets of waxed paper in an airtight container in the refrigerator for two weeks or freeze for longer storage. Always bring to room temperature before serving. Divinity is one of those age-old candies our grandmothers made that is slipping into extinction in the home kitchen. Pity that. Divinity is a light as a feather confection, with a deep vanilla flavor so delicious. Much like a meringue in texture, divinity is delicious by itself and exceptionally useful, as it can be combined with other candy to make really spectacular offerings. Piped into short logs, it makes a delicious white center for pecan logs. Or those logs can be rolled in coconut, nuts, or chopped dried fruits. You can even dip mounds into tempered chocolate that make the most delicious confection imaginable. Divinity is divinely easy to make and very forgiving along the way. Only two things are required for success: a dry day and a calibrated thermometer allowing you to cook the syrup to its proper temperature. But if your divinity fails to harden, you can beat in two tablespoons of powdered sugar and allow the mixture to rest a few minutes; if the candy hardens too much, you can blend in hot water a tablespoon at a time until the perfect, fluffy consistency is reached. Divinity, nougat and marshmallow all belong to the same candy family and all three are very, very close kin in terms of texture, flavor and technique. Line a 15×10-inch jellyroll pan with waxed paper, butter the waxed paper well, and set aside. Place egg whites into the bowl of your stand mixture and set aside to wait for use. In a heavy 4-quart saucepan, combine the corn syrup, water, sugar and salt. Place over low heat and stir constantly with a wooden spoon until the sugar is completely dissolved. Increase heat to medium-high and cook, without stirring, until the mixture reaches a rolling boil. Clip on your calibrated candy thermometer. Reduce heat to medium to maintain a full (but not rolling) boil. Cook syrup, without stirring, to 252 degrees (F). Just before your syrup reaches this temperature (around 250 degrees), begin beating the egg whites with your whisk attachment until soft peaks form. Remove the whisk and replace with your paddle beater. Remove the completed syrup from heat and allow the boiling to completely subside (about 1 minute). Pour the syrup carefully into a heat-proof large Pyrex measuring cup to make pouring in the next step easier. Do not scrape the pan. Next, add the vanilla and beat well. Remove the bowl from the mixer stand and fold in the nuts, if desired. Using two large spoons, drop spoonfuls of the mixture into mounds onto the waxed paper. Allow to rest undisturbed for two hours, or until the mounds are at room temperature. Carefully peel from the waxed paper and store on layers of waxed paper in an airtight container for up to two weeks. 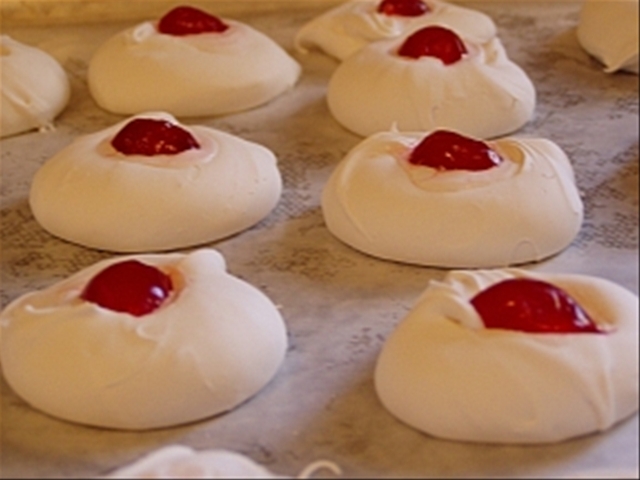 I always press one-half of a maraschino cherry on top of each mound. “Southern Divinity” is traditionally garnished with a pecan half on top. Divinity also freezes exceptionally well for longer storage. Makes about 40 pieces of candy. Cherry-Nut Divinity: Fold in 1/2 cup of chopped, well-drained maraschino cherries with the chopped nuts before spooning out mounds. Strawberry Divinity: After beating your egg whites to the soft-peak stage, sprinkle a package of strawberry gelatin over the egg whites and beat again at medium speed until all of the gelatin has been incorporated. Increase your mixer speed to high and begin to add the hot syrup and continue as directed above. Garnish with a slice of fresh strawberry. Peppermint Divinity: After beating your egg whites to the soft-peak stage, add 1/4 teaspoon of peppermint oil to the egg white and continue to beat on high speed for another minutes. **You may also add 3 drops of red food coloring. Then begin to add the hot syrup and continue as directed above. Garnish each mound with finely crushed peppermint candies. Cappuccino Divinity: Just before removing your cooked syrup from the heat, add 2 tablespoons of dark rum to the syrup and allow to “boil in” (do not stir). Once boiling has ceased, pour the syrup into your Pyrex measuring cup. Add the hot syrup to the beaten egg whites. As soon as the mixture begins to lose its gloss, add 2 teaspoons of instant coffee powder and 1/2 teaspoon ground cinnamon and continue to beat until incorporated. Spoon into mounds as described above. Garnish with ground coffee beans (ground in a mortar & pestle). Kahlua Divinity: Just before removing your cooked syrup from the heat, add 2 tablespoons of Kahlua to the syrup and allow to “boil in” (do not stir). Once boiling has ceased, pour the syrup into your Pyrex mixing cup. Add the hot syrup to the beaten egg whites. As soon as the mixture begins to lose its gloss, add 1 teaspoon of instant coffee powder and beat well to blend. Continue as directed above. Garnish with ground coffee beans (ground in a mortar & pestle). Godiva Divinity: Use the same method as in making Kahlua Divinity, but substitute 2 tablespoons of either Godiva dark chocolate or white chocolate liqueur and continue as directed. Garnish the mounds with dark chocolate shavings. 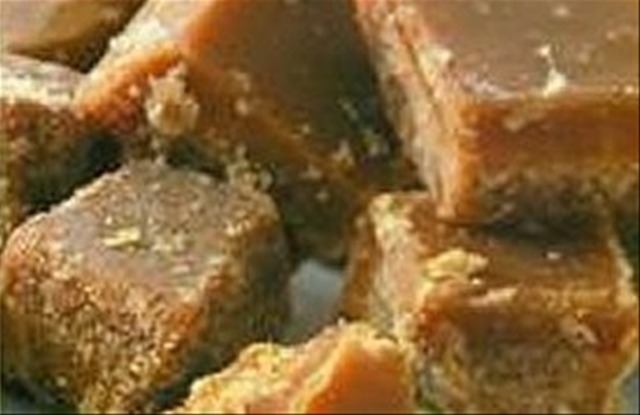 Of all the candies I make, probably the top favorite of all among recipients is a tender, soft, golden brown caramel. It is one of my favorites, too. Caramels are simple to make, requiring only two things for constant success: a calibrated candy thermometer and a nice, dry day. Today I made a short ton with the humidity in Dallas around 41%. While there are a myriad of recipes out there, it is very important for you to understand that caramels must be cooked slowly to allow the sugars and milk solids to caramelize. The longer and slower they cook, the darker the color and richer the flavor. And there is nothing I can think of that is worse in taste than a caramel that has been cooked too fast and is scorched with a resulting resonant flavor of burnt sugar. Yuk! The recipe I offer here I have made countless times and for many different applications, such as pecan logs, Turtles and caramel apples. Unlike some caramel recipes, this one will produce a soft caramel that will not stick to your teeth. Also, this recipe brings the sugar solution to its proper temp and then adds the preheated milk, which prevents curdling, prevents the mixture from boiling over, and develops a much smoother texture. The caramels are rich and absolutely delicious, and an easy delight to share among friends and family. Line a 12×17 inch jelly roll pan with heavy duty aluminum foil, fitting the foil well into the corners and sides. Butter the foil very well, coating the entire bottom and sides. Set aside. In a 1-quart saucepan over low heat, combine the cream and the condensed milk, whisking very well to blend. Allow the cream mixture to become hot, stirring often, but do NOT allow the mixture to boil. Meanwhile, in a tall 4-quart saucepan, combine the corn syrup, water and sugar. Stirring constantly to dissolve the sugar, bring the mixture to a boil over medium-high heat. If sugar crystals appear around the edge of the boiling surface, wipe the pan sides with a damp (not wet!) pastry brush. Clip on your calibrated candy thermometer and reduce heat to medium. Continue to boil gently until the syrup-sugar solution reaches 250 degrees (F). Add the butter and pour in the warm cream mixture. The temperature of the solution will immediately decrease. Stir constantly to blend the mixture, then occasionally until the mixture reaches 244 degrees (F). Remove from heat and carefully pour the hot caramel into your prepared jelly roll pan, tilting the pan to even the mixture. Do not scrape the pan — even though scraping will not cause crystallization the stuff on the bottom of the pan has cooked longer, is tougher and will leave hard spots in the batch. At this point, you may dip each piece into tempered chocolate and allow them to rest on a wire rack for 4-6 hours until the chocolate has hardened. Store these dipped caramels on sheets of waxed paper in an air-tight container, at room temperature, for up to one month. For plain caramels, wrap each cut piece in a 4-inch square of plastic wrap, twisting the ends tightly. Store the wrapped caramels in an air-tight container, at room temperature, for up to one month…if they last that long. If you like nuts in your caramels, pour a layer of chopped pecans, walnuts, almonds, hazelnuts, etc. into your prepared jelly roll pan before pouring in the caramel. Want to make caramel apples? Merely twirl apples on a stick into the mixture, instead of pouring it into a pan. Place the coated apples on a waxed paper lined sheet and place into the refrigerator for one hour to harden, then wrap each apple well in plastic wrap, tied with a bow to seal. Be certain to consume these as quickly as possible (no more than 3 days) to enjoy the best flavor of the apples. This same recipe can be poured into a buttered 9-13 inch dish, allowed to cool for 24 hours, cut into 1×4-inch logs, then rolled in minced pecans to make pecan logs. Wrap each log in plastic wrap and store in an airtight container, at room temperature, for up to one month. The logs may also be cut into 1/2-inch slices, wrapped in plastic, etc. This caramel be poured by hot spoonfuls onto a grouping of whole pecans (place in a triangle or “X” configuration), allowed to harden, then cover the caramel with a dollop of tempered chocolate to make Turtles. Store on waxed paper sheets in an airtight container, at room temperature, for up to one month. My grandmother introduced me to these delights, which are something of a fudge base with crisp pecan bits and the overall delicious taste of dates, a particular favorite fruit of mine. While there are a few versions of this candy out there, this recipe of mine is the original. It was passed down three generations to me and an almost identical recipe appeared in The Complete Confectioner published in 1864 by J.B. Lippincott & Co. of Philadelphia…and I am proud to have a tattered, but intact copy. ;-)The candy is delicious and always a welcomed addition to the Christmas repertoire…always bringing back memories of childhoods past. The following is a modernized version of the original family recipe, tried and true many, many times. In a heavy 2-quart saucepan, cook milk, sugar and butter over medium heat, stirring constantly at first to dissolve sugar, then often (to prevent scorching), until the mixture reaches 234 degrees (F). Remove the pan from heat and add the dates, nuts and vanilla extract. Stir briskly with a wooden spoon for about 5 minutes until the mixture is thick and creamy and beginning to crystallize, but not yet stiff. Allow the candy to cool down for about ten minutes undisturbed in the pan. Without scraping the sides of the pan, lift the candy by large spoonfuls into a rough log shape on a clean, slightly damp flour sack towel and roll the candy inside the towel to make a long log no greater than 2 inches in diameter. Roll the date loaf log completely in the damp towel and then wrap the towel well in waxed paper. Place the log into the refrigerator overnight, or at least 8 hours to completely chill. When completely chilled, cut into thin ¼-inch rounds, using a sharp knife that is frequently rinsed clean under hot water. Store pieces without touching between waxed paper sheets in an airtight container. The candy may be stored at room temperature for two months.